Hi All, Off-late my existing hard disk had become almost full, and I wanted to increase the storage space for my laptop. 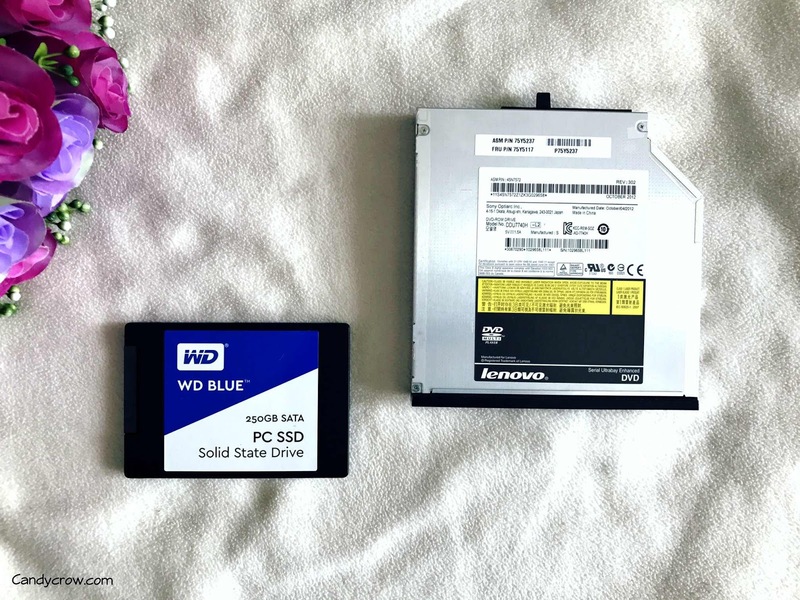 I took a friends suggestion and got a WD Blue Solid State Drive. Fitting it on to my laptop was straight forward. 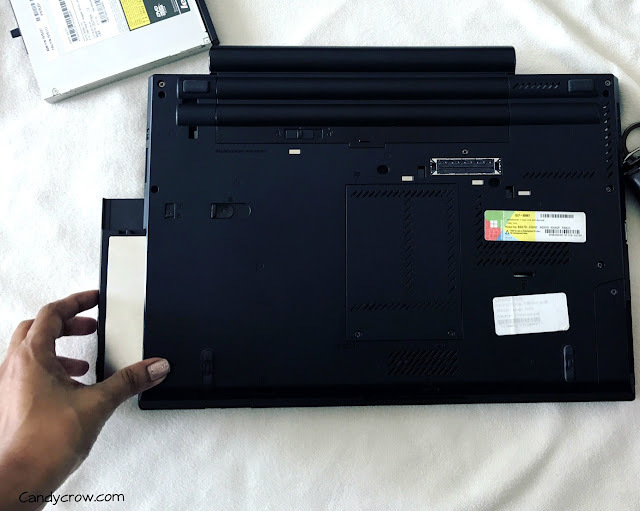 I bought a hard disk caddy, attached my SSD to it and inserted it in the DVD drive slot (mine is a T430 Lenovo, some laptops might have different mechanisms). Yes, it is as easy as it sounds and I am no techie. I got the extra space I wanted and much to my surprise, the copy times were SUPER FAST. If you have never owned a SSD before, You must try one. The speed is unmatchable when compared to our regular hard disks. I did some reading as to why they are so fast, seems like they do not use the traditional disk that rotates(internally), Instead some new technology without moving parts which I did not bother to dig deep. In simple terms, SSD is SUPER FAST, makes no hissing sound, (absence of disk?) weighs very little and takes less power. I also got a suggestion that I should be making this my primary Hard drive and set up Windows on it, seems my laptop will boot within 5 seconds. SSD is probably the easiest way to improve the speed and performance of your laptop or desktop computer. Your laptop will become lighter than it used to be provided you replaced your existing Hard Disk with an SSD. Over all, WD Blue SSD has made my life easy, copying photos and videos happen in lightening speed. 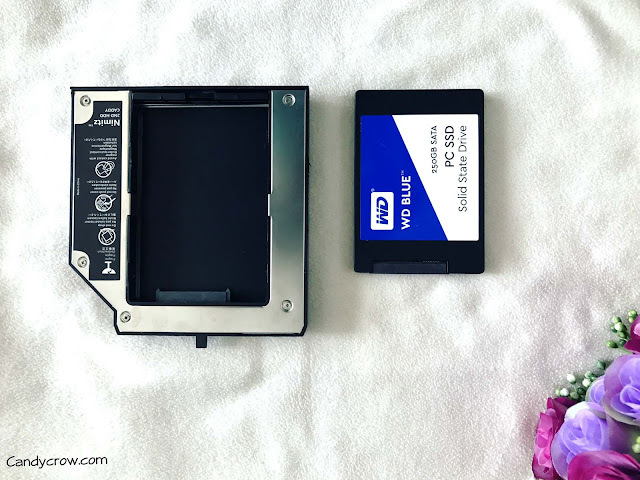 If you would like to add some storage and speed to your laptop, WD SSD would be an excellent choice.